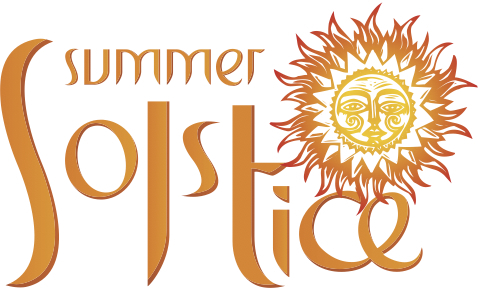 Summer Solstice – What’s it all about? The summer solstice occurs during a hemisphere’s summer. This is the northern solstice in the northern hemisphere and the southern solstice in the southern hemisphere. Depending on the shift of the calendar, the summer solstice occurs some time between June 20 and June 22 in the northern hemisphere and between December 20 and December 23 each year in the southern hemisphere. The same dates in the opposite hemisphere are referred to as the winter solstice. When on a geographic pole, the Sun reaches its greatest height, the moment of solstice, it can be noon only along that longitude which at that moment lies in the direction of the Sun from the pole. For other longitudes, it is not noon. Noon has either passed or has yet to come. Hence the notion of a solstice day is useful. The term is colloquially used like midsummer to refer to the day on which solstice occurs. The summer solstice day has the longest period of daylight – except in the polar regions, where daylight is continuous, from a few days to six months around the summer solstice. Diagram of the Earth‘s seasons as seen from the north. Far left: summer solstice for the Northern Hemisphere. Front right: summer solstice for the Southern Hemisphere. The summer solstice occurs when the tilt of a planet’s semi-axis, in either northern or southern hemispheres, is most inclined toward the star that it orbits. Earth’s maximum axial tilt toward the Sun is 23° 26′. This happens twice each year (once in each hemisphere), at which times the Sun reaches its highest position in the sky as seen from the north or the south pole. This important place is seen by many as a sacred site – please respect it and please respect each other. English Heritage is pleased to provide free Managed Open Access to Stonehenge for Summer Solstice 2016 and ask that if you are planning to join us for this peaceful and special occasion that you follow these Conditions of Entry. These are written to ensure enjoyment and safety for everyone attending Summer Solstice at Stonehenge. The Solstice Car Park opens at 7pm on 20th June with last admissions at 6am (or when full, if earlier) on 21st June. The car park will close at 12 noon on 21st June. Admission to the Summer Solstice at Stonehenge is free of charge, however please note that parking fees apply. We strongly recommend travelling by public transport or arranging to car share. Help with planning your journey and accomodation can be found on the pages below, along with other helpful advice if you are planning to come to Summer Solstice. Please note, car parking fees apply to all visitors to Summer Solstice, including members of English Heritage and National Trust.